Here is a link to the initiative’s information at Ballotpedia. This includes information about who is funding the campaigns for and against the initiative. To my knowledge, no comprehensive single website exists to oppose I-1634. The online voter’s guide contains arguments for and against the initiative. This is not an initiative. It is a so-called “advisory vote” and cannot result in the passage of a law. 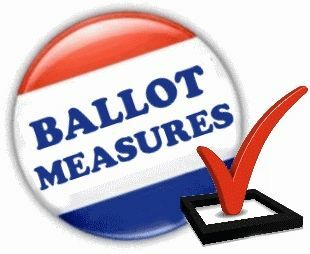 Instead, an advisory vote asks for voters to weigh in on an expenditure already voted into law by the state Legislature. The legislature expanded, without a vote of the people, the oil spill response and administration taxes to crude oil or petroleum products received by pipeline, costing $13,000,000 over ten years for government spending. The full text of the bill, SB 6269, is here. What Are Your Voter Resources? Many voters find it challenging to form an informed opinion regarding some ballot initiatives. What are some of the resources you have found, to help? Click here, scroll to the bottom, and add your own comment. This is part of what may develop into a series of articles regarding the upcoming election. Click here to see all of them. You cannot vote, if you’re not registered. Until October 8th, you can register online on the Washington Secretary of State’s website. After that date, until October 29th, you can register, but only in-person.